I know my updates are all about Charley, all the time. There are a couple of reasons for that. First and foremost, he’s mine. Every minute of every day, I am privy to his challenges and his achievements. When he dutifully downs 26 pills before and after school each day, when he navigates friendships and parties with his physical limitations, when he powers through intense physical therapy to recover from a broken hip, when he gets a driver’s permit against all odds, when he wistfully watches his friends take off for independent summer programs, when he worries about the future, I’m there. I see and feel and experience Duchenne through my own son. His story is the one I know best how to tell. And then of course, Charley is a supremely colorful character. He always gives me something to write about, albeit unwittingly. Whether he’s scheming how to land the girl of his dreams or cracking me up with his unfiltered social commentary, I always want to share his antics. By now you probably know Charley, either in person or through my blog posts and updates. Hopefully you care about him and you’re rooting for him, and that drives you to help us defeat Duchenne. Charley is my very real, hilarious, stubborn, fashionable 16 year old son. But he is also a symbol. My boy represents 30,000 kids in the United States and approximately 200,000 kids around the world. All of them have Duchenne. All of them are struck by this horrendous beast that steals their legs, their arms, their lungs, their hearts. 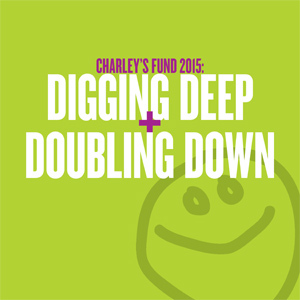 Our fight is for Charley, and for every single child and young man that shares this heinous diagnosis. One of the boys we’ve been fighting for is Nash Avery Wicka. Nash’s parents, Tom and Angie Wicka, have fought by our sides for ten straight years to advance research and move new drugs into clinical trials. They have donated many millions of dollars to research programs all over the world. They’ve contributed invaluable time and expertise to keep promising therapies on track and moving forward. Tragically and unexpectedly, Nash died on April 29, less than two weeks shy of his 18th birthday. This profound obituary, written by Nash’s grandmother, captures a sliver of his incredible spirit. I know the last thing you want to do right now is read an obituary for a 17 year old kid. But read it. Really do. I go back to it every couple of days, because Sunny’s exuberant love of her grandson and Nash’s full embrace of life remind me how to live. A few weeks ago I spoke with Nash’s dad Tom on the phone about some of the research we have been funding and monitoring together. Tentatively, I asked him if he still planned to be involved. “Before I was fighting for Nash and Chach,” he told me. “Now I’m fighting for Chach.” Charley (affectionately known as “Chach”) may be his symbol, but we both know we’re fighting for our sons’ brothers all around the world.